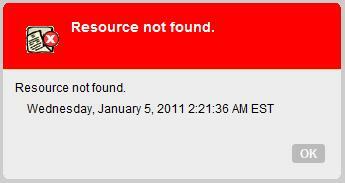 I have a headache right now, but I thought I might as well write something in order to…well, not neglect my blog again. Besides that, there’s also a lot of other stuff going on. But yeah. Excuse me while I go take a walk. Hopefully, some fresh air will clear my head. One good thing about large Chinese supermarkets is that they often have a “hot, prepared foods” section. This is where they prepare and sell vast quantities of fried rice, steamed buns, soups, stir-fried dishes, and many different types of dim sum. And, if you go later in the day when it is near closing time, they usually put whatever food they have left out on sale to get rid of it all. It’s not often that I like the stuff that comes out on sale in the evening, since it’s usually the stuff that doesn’t sell as well. But yesterday, they had small tubs of 낙지볶음 (nakji bokkeum) on the sale table, and I could not resist but take one. I had not tried it before, but I did know that it was a Korean side dish, and since I’ve so far liked all the Korean side dishes that I’ve tried, I was pretty confident that my $2 would be well-spent. 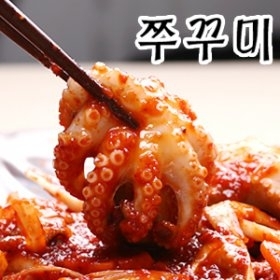 Furthermore, I had no qualms about eating tiny octopuses in a spicy sauce (낙지볶음 is basically stir-fried octopus); being from a seafood-loving family, I’ve consumed octopus (and squid!) countless times. I don’t usually eat much rice, but I did last night, because those octopuses (or octopii?) were just so good. They were a bit too salty and spicy to be eaten alone in large amounts, but that is perfectly balanced out by a small bowl of rice. I have to say, while Koreans may have to wash a lot of dishes after every meal (they serve a lot of side dishes in ADDITION to a main dish, and everyone has their own separate bowls for rice too), they certainly have found out how to make bland rice really tasty. Gosh, just writing about it makes me hungry for some 낙지볶음 right now. Maybe I’ll go get some more tonight. It’s been a really long time since I’ve had to wake up at 7 AM. I used to do so every day during high school, but since university started, I’ve been waking up at all hours of the day except for 7 AM. My schedule never demanded it, and so it never happened. However, I have an early class on Mondays this semester that demands that I wake up at 7 AM or else be late. While I probably won’t be enjoying eating breakfast before sunrise in the coming weeks because it will eventually lose its novelty, nostalgia currently telling me that it’s great to have your alarm clock send shockwaves through you at seven in the morning. So, please excuse me as I must go pack my stuff and get ready for class! After sulking through a green Christmas and an abnormally warm New Year’s Eve, we finally received real snow this past Friday evening. By real snow, I mean, “snow that doesn’t melt as soon as it comes in contact with asphalt.” In fact, we had what looked like a good foot of snow. By Saturday afternoon, I could not resist; I donned my clunky snow boots and went outside for a walk. What surprised me was all the snow that was left untouched. Perhaps it’s because I grew up in an age where Internet and video games were too costly or not as widespread, but when I was a kid, if you went out to play in the afternoon after a snowstorm last night, there would no longer be any fresh snow for you to play in. This was especially true during the weekends, when kids would literally just wake up, eat breakfast, and run outside to frolick in the snow. I was and still am a night owl at heart, so by the time I got outside, I had a hard time to find a perfect canvas of snow to make snow angels in. Not yesterday though. There were plains and plains of marshmallowy snow everywhere, and while I was decidedly hesitant about plopping down and rolling around in it, I had no qualms about trampling all of it. I’m pretty sure I got weird stares when I was walking in the untouched snow drifts on either side of the cleanly shovelled and salted sidewalks, but hey, they should be thankful; I’m clearing snow for people who feel like jaywalking and those who need to get their snow-buried cars! I have not had chocolate candy bars for a long time. There was a time when I stuffed my face with cookies and Tim Bits (doughnut holes from Canadian coffee shop Tim Hortons, for those who don’t know), but that stopped when I started caring about my health and weight in general. So when I decided to take a walk down my gustatory memory lane today by enjoying a Coffee Crisp bar, let’s just say I had a knock-out punch from the deathly amount of sugar packed in that 50 gram bar. 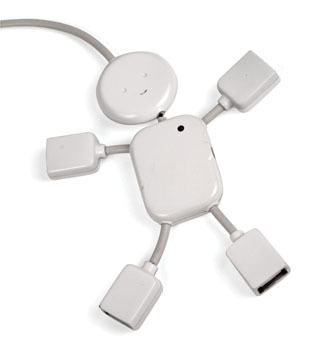 How on earth did I enjoy these things in the past? Really, you can’t taste anything besides the sugar! Sure, there’s that hint of coffee goodness, and a suggestion that there is actually chocolate somewhere in the coating, but the first thing that hit me was the sugar. Halfway through the bar, I didn’t even want to finish it — a shocking statement from someone who loves her chocolate and sweet things so much. Perhaps I’ve been sensitized to large amounts of sugar since I’ve stopped regularly consuming junk food, or maybe it’s because I’ve grown to like dark chocolate too much to revert to candy bars. 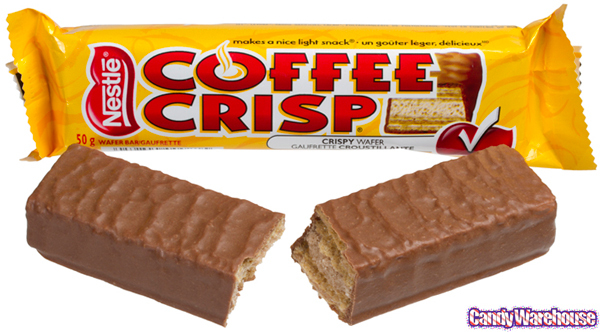 In any case, I don’t think I’ll be having another Coffee Crisp (or any candy bar, in fact) for a very long time. I can’t wait until Monday. My university is teasing me with little things right now that I can probably only get my hands on until next week. That I have this announcement even though this course hasn’t been added to my Blackboard account yet makes the suspense even worse. I know it’s just an assignment (which I will most likely complain about doing, once classes start), but still. I WANT TO KNOWW. Preferably now. The other tease is that I have a graded report waiting for me to pick it up on campus…and yet, I won’t be on campus until Monday, so I have to sit out five more painful, excruciating days of tearing my hair out while wondering how I did on it. GAH! T__T Must. Distract. Self! Happy new year, everybody! I hope 2011 goes smoothly and brings greater happiness to all! I will make no promises about frequent updates for now, but… I shall try. After all, it is time for New Year Resolutions and such, isn’t it?